Owner and founder of Impact Baseball, Inc. (est. 2001) and Dirtbags Baseball, LLC (est. 2002). Partin pioneered the Dirtbags baseball program to becoming one of the top and most recognizable in the country. 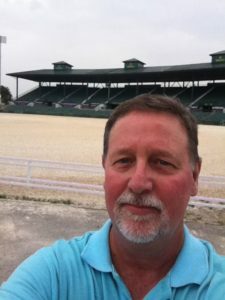 In 2001, Partin started Impact Baseball, Inc. and brought to life his idea of promoting high school baseball players through an online presence and on-field showcase events to help them reach the collegiate and professional levels of baseball. Since 2001, this innovator has become a trendsetter for other organizations to follow; setting trends like the Dirtbags renowned style and camoflauge uniforms worn for the first time in 2006. Partin has seen over 1000 alumni move on to college baseball and 216 go on to be drafted by MLB teams including 28 Big Leaguers. Partin piloted the Dirtbags to the 2016 and 2010 World Wood Bat Association “Jupiter” Championship crown bringing the rings home to North Carolina. He has also guided the Bags to eight IMPACT World Series titles and two WWBA National Runner-Up finishes. As a player, Partin starred under Tommy Blaylock at Durham Riverside high school before his baseball career was cut short by a severe bicep tendon tear, leading him to look for another way to stay involved in the game. Partin began coaching at 19 years old as an assistant at Riverside high school, where he coached for 3 years. 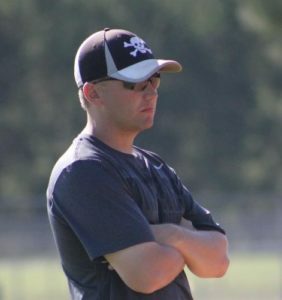 Partin spent 3 years as the head baseball coach at Forsyth Country Day School (2009-2011) where he guided the Furies to their first ever North Carolina State Championship in over 40 years in 2011, and a 3-A State Runner-Up finish in 2010 in only his second season. Partin’s State Championship team featured seven players that signed college scholarships with two players drafted. That team ended up hitting 62 homeruns as a team, breaking the North Carolina state record. The Durham, NC native is a tremendous advocate of strength training for baseball players prompting him to become a Westside Barbell Special Strengths Coach in 2014. 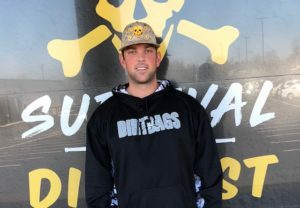 Partin also owns an indoor training center in Burlington, NC, called Dirtbags Baseball Training Center, LLC. Partin has worked previously with the Houston Astros, KC Royals and St Louis Cardinals. 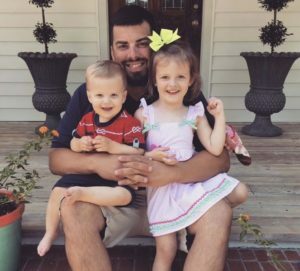 This family man has dedicated the past 20 years of his life to helping young, aspiring baseball players reach their highest level. Hobbies Outside of Baseball: Spending time with family, watching UFC and chasing a 500 lbs bench press. Most Memorable Moment with the Dirtbags: Starting a trend for all of baseball by wearing camo uniforms for the first time in 2006 in Jupiter, FL at the WWBA. And watching the guys dog pile after winning the WWBA in Jupiter in October 2016 was awesome. Advice to Players: The only person that can stop you is you. You can become whoever or whatever you want if you are willing to put in the work. Daly was named General Manager of the Dirtbags in January of 2018. Always a player favorite, Daly brings a wealth of enthusiasm and knowledge to our program. The New Bern, NC native has been instrumental in the continued success of the Dirtbags through his leadership on and off the field. Since Daly has joined the Dirtbag staff, he has coached at numerous levels of our program. Daly guided the Dirtbags 2020 class to a final eight finish in the 2017 Perfect Game National Championship. During the spring season of High School baseball each and every year, you can find Daly at the ballparks in the North Carolina and South Carolina region. This is one of Daly’s biggest passion is the investment and dedication to our players and continued development throughout their Dirtbag’s careers. In High School, Daly starred on the diamond for the New Bern Bears under legendary skipper Gary Smith. He then went on to receive his degree in Management of Parks and Recreational Facilities in 2008 from East Carolina University. Daly began coaching in high school baseball in 2004 and coached until 2012. Through the eight year stint, he coached Junior Varsity, Varsity and Junior Legion. Daly has been an associate scout with the Miami Marlins since 2016. Daly’s thought of being involved with Dirtbags Baseball. Hobbies outside of baseball: Working out and enjoying other sports. Most enjoyable Dirtbag moments: One game that sticks out to me is the win over Team Elite in the World Wood Bat Championship in Jupiter, Florida in 2015. Another one of the most enjoyable moments for me, is getting a phone call from a current Dirtbag that he has made a commitment to college baseball. Advice to players: Keep your head down, work hard and put your best foot forward everyday. It will all work out in the end. Everett Hancock is a graduate of Havelock High School, class of 1998, and helped lead HHS to the 1998 3A Championship. While there, he was named MVP of the championship series and holds several pitching records at HHS including ERA in season (0.81), strikeouts in a season (158) and wins in a season (14). In his college career, Hancock earned a Division 1 scholarship to pitch at UNC-Greensboro (1999-2002). While at UNC-Greensboro, Hancock led UNC-G in innings pitched and games started in 2000 and 2001. In 2002 Hancock was drafted by the Detroit Tigers in the 2002 MLB draft (28th round, 830th player overall). In his coaching career, Everett Hancock served as an assistant coach at Ragsdale High School from 2004 to 2010 under coach Donnie Maness, guiding the Tigers to the 2006 3A State Championship Series. In 2011, Coach Hancock served as an assistant coach at Forsyth Country Day School under Coach Andy Partin, leading the Furies to the 3A Private School State Championship. Coach Hancock later served as the head coach of Forsyth Country Day School and North Forsyth High School. 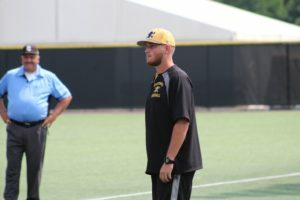 Additionally, Hancock was the Director of Instruction at the Hitting Zone in Winston-Salem, NC prior to joining the Dirtbags Staff. Logan Koch is a graduate of South Mecklenburg High School, class of 2013, where he was a four year letterman and captain of the 4A State Championship team. Koch also was a 2011 Team USA participant. Koch played at the University of South Carolina from 2013-2015 and transferred to Francis Marion University to play from 2016 to 2017. He graduated with a BS in Political Science and Sociology. Koch coached three seasons in the CPL for the Gastonia Grizzlies, leading them to win the Petitt Cup in 2017. Brent Haynes attended Southern Alamance High School and graduated in 2005. During his senior year, Haynes was a two-time, All-State selection and conference Player of the Year. In 2005, Haynes won the State Championship and was named MVP of the Championship Series. Haynes attended Young Harris College before transferring to Mount Olive College where he would finish his college career. Haynes was selected as Conference Pitcher of the Week twice and helped Mount Olive make an NCAA Regional appearance during his junior and senior seasons. Haynes later went on to become a pitching coach at Guilford Technical Community College for two seasons, 2010-2012. During his time there, Haynes guided pitching staff to school record wins, strikeouts and team ERA. During the summer of 2012, Haynes was the pitching coach for the Thomasville Hi-Toms of the Coastal Plains League, and joined the EM Holt staff (Burlington, NC) that fall as a PE Teacher. Haynes has been an Assistant Coach at Southern Alamance High School since 2012 and a coach with the Dirtbags since 2013. Ryan Falcon was a four-time All-Conference pick and a two-time All-State pick in North Carolina at Northern Durham High School. Falcon also excelled on the football field as a quarterback for the Knights. The southpaw made an immediate impact at the University of North Carolina-Greensboro where he is still in the top five in several pitching categories including ERA and strikeouts. Falcon went on to become a Cape Cod League All-Star and then drafted by the Texas Rangers in 2007 in the 29th round. He was tabbed a Northwest League All-Star, and pitched through to AA with the Rangers. In the summer of 2011, Falcon worked as the Assistant Coach with the Edinburg Roadrunners of the Independent Professional North American League in Edinburg, TX. Falcon is also an active associate scout with the Pittsburgh Pirates. 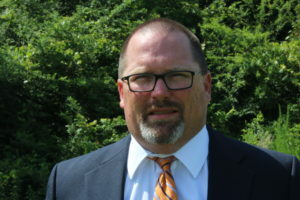 Brendan Dougherty began his college career at Potomac State Junior College, where he posted a .370 career batting average and was a third team All-American in 1994. In 1995, he was named a National Junior College Athletic Association All-American and helped the college to a National Championship. Dougherty was also named to the Junior College World Series All-Tournament team that season and would later be inducted to the Potomac State Athletic Hall of Fame in the Spring of 2008. Dougherty later played two seasons at Coastal Carolina (1996-1997), hitting .287 with 40 RBI in 104 games, playing mainly at shortstop; setting Coastal Carolina’s single season and career records for assists. Dougherty received a degree in Interdisciplinary Studies from Coastal Carolina in 1998. Dougherty began his coaching career at Elon University in Burlington, NC as a hitting instructor and recruiting coordinator. During his time at Elon, Dougherty coached six All-Conference performers and helped the Phoenix to their first NCAA Regional appearance in 2002. In 2003, Dougherty worked with the Auburn Tiger’s infielders, outfielders and catchers, while assisting with bunting and base running. Dougherty assisted Auburn to a #4 National Seed that year. Later, Dougherty spent two years as an assistant coach with the Army. During his time there, the Black Knights won the Patriot League title and advanced to the NCAA Regionals. In Dougherty’s first year at West Point, he helped second baseman Nate Stone to an All American honor from the American Baseball Coaches Association, becoming the first Army player in 40 years to accomplish the feat. After his time with the Army, Dougherty experienced success at the highest level as an assistant coach at Coastal Carolina. The Chanticleers made five consecutive trips to the NCAA Tournament, including a berth in the Super Regionals in 2008 and 2010. The team also won 5 consecutive conference regular season and tournament championships, and had a perfect record of 29-0 in 2010. Dougherty spent 4 seasons at Western Kentucky University where he helped produce one of the top offenses in the country in 2014 while aiding a defense that sported a .965 fielding percentage. WKU finished the regular with the 7th most doubles in the nation (116) while ranking 18th in the country with 560 hits, 26th with a slugging percentage of .416 and 31st with a team batting average of .294. As a team, the Hilltoppers collected 10 or more hits in 31 games and out-hit their opponents on 37 occasions and 5 players finished with a batting average of .300 or better. Jon Walker graduated from George Washington High School in Danville VA in 2005. Walker was named District Player of the Year and Senior Region Player of the year as a junior, and later, Metro Player of the year as a senior. Walker toted a 24-1 record as a high school pitcher. Walker attended Campbell University on a baseball scholarship in 2005, in which he threw 50 innings as a freshman at Campbell. Walker transferred to Averett University in 2006 and finished his playing career with the Cougars. Upon graduating from Averett University, Walker was offered the pitching coach and recruiting coordinator job at 22 years old. Coached and mentored by former pro, Ed Fulton, Walker spent 5 seasons at Averett learning from Fulton before stepping down to pursue travel baseball full-time. Walker later coached 16 All-Conference players during his time at Averett. 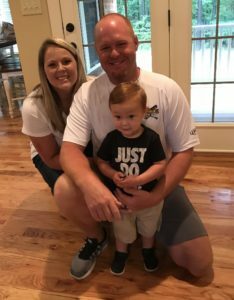 Coaching at Averett, working various camps around the region and developing relationships with college coaches is what led Walker into travel baseball. In 2010, Jon Walker started the Virginia Reds travel baseball organization. Mostly comprised of local Southern Virginia players, the teams competed up and down the East Coast. Coach Walker grew the Virginia Reds to 14 teams ranging from ages 9U-17U. Walker is also the Owner/Operator of Elite Performance Academy, LLC; a 20,000 sqft. indoor baseball training facility. Coach Walker and staff train 125 players a week at the indoor facility. Walker states that his biggest accomplishment with the Virginia Reds has been assisting 78 of his players to go on to play NCAA Baseball. Eric Leary has over 20 years of coaching experience at the high school level for both baseball and football. Leary was the assistant coach at Barton College from 1992-1994. Leary has been published in the American Baseball Coaches Associations Coaching Digest. He is currently an associate scout with the New York Mets and was an associate scout with the Major League Scouting Bureau from 2004-2016. Jacob Baker is a Dirtbags alumni who played under Andy Partin. 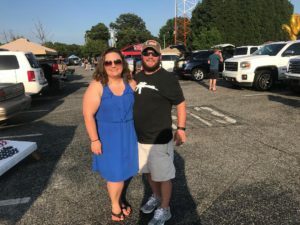 He graduated from Garner Magnet High School in 2010 where he was a two-time All-Conference and All-State selection his senior year as a pitcher. Baker played one season at East Carolina University before transferring to Pitt Community College where the Bulldogs won a Region X Title. He then transferred to play his final two collegiate seasons at Elon University, where he earned his degree in Secondary Social Studies Education. Baker began his coaching career as a pitching coach for the Eastern Alamance Eagles in 2015 where he spent one season and is now in his second year at Garner Magnet High School. “Bake” began coaching with the Dirtbags in 2015. Zach Bingham played baseball at Harnett Central High School. After High School, he moved on to played at Lenoir Community College. After his freshman season he transferred to Guilford Technical Community College. Zach received his degree from UNC-Pembroke. 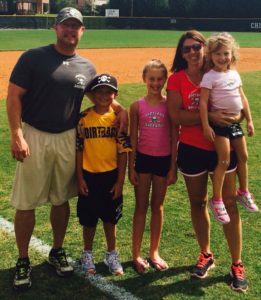 Coach Bingham is currently the head baseball coach at Overhills High School. Tyler Drew is a Fayetteville, NC native where he played high school baseball at Jack Britt High School under Coach Sam Guy. After high school, Drew continued his baseball career at Southeastern Community College in Whiteville, NC. While at Southeastern CC, Drew was an Academic All-American and a part of the 2011 team that made an appearance in the JUCO World Series. 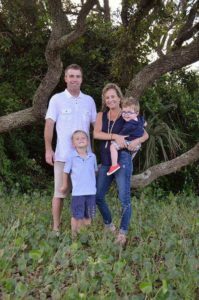 Drew earned his degree in Exercise Science from UNC-Wilmington and is also a Certified Strength and Conditioning Specialist from the NSCA. 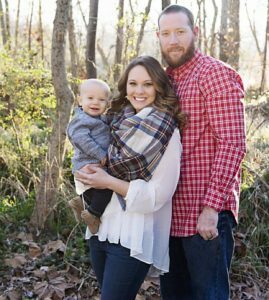 Drew has previously coached at EA Laney High School and has been the pitching coach and recruiting coordinator at Southeastern Community College. Currently, Drew serves as a Math Teacher and pitching coach at Southern Lee High School. 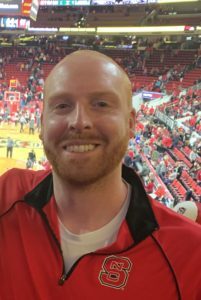 Coach Zayicek attended Fonda Fultonville High School where he played football, basketball and baseball all four years in high school. He went on to Norwich University where he played football and baseball. Upon graduation he played semi-professional baseball for the St. Johnsville Saints in upstate New York. He has coached youth athletics including football basketball and baseball for over 14 years. Most recently he was the head JV baseball coach and assistant varsity baseball coach at Lake Norman High School in Mooresville North Carolina. Eric Rice is the former Head Varsity Baseball Coach at Southeast Raleigh Magnet High School. Prior to becoming Head Coach, he was the volunteer Assistant Coach for the Varsity team. He is also a graduate of Shaw University (2004) and was a two year Captain on the baseball team. He won a CIAA Championship (2002) and played professional in Koln, Germany for the Cologne Cardinals (05’). Cameron Falcon was an All-Conference performer on the diamond for the Knights at Northern Durham High School, and later went to play a successful four-year career at Wingate University. At Wingate, Falcon helped lead the Bulldogs to a regular season SAC Championship his junior year as well as a SAC tournament title and a NCAA Regional appearance his senior season. He was named to the All-Tournament Team his senior season. Falcon graduated in 2011 from Wingate University with a BS in Sports Management. Russel Haynes played at Cummings High School and is a North Carolina State University graduate. 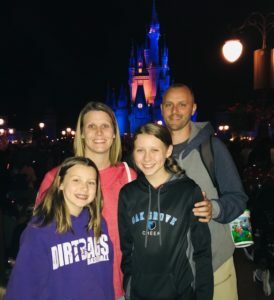 He served as the Head Baseball Coach at Burlington Christian Academy for three years, and has umpired High School baseball for nine years. 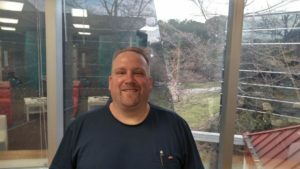 Coach Russell Haynes works at Berkshire Corporation as a Production Supervisor Planner for 12 years. He also owns B&H Trophies, a business which has been family owned and operated for 50 years. Coach Todd Griffin is from Weaverville, NC, where he played baseball at North Buncombe High School under the direction of Wesley King. While attending North Buncombe, Todd made playoff appearances every year, and appeared in the 2012 3A State Semifinals. After graduation he attended Mars Hill University, where he played one season before a career ending shoulder injury. He is currently heading into his third season as the pitching coach at North Buncombe High School. William Inman is a graduate from Tunstall High School where he played four varsity seasons and earned two state championships. During this time he earned a record of 598 strikeouts, 31 home runs, a career ERA of 0.42, and was named player of the year in the state of Virginia for three years (2003-2005). Inman originally committed to Auburn University, but passed on the opportunity after being drafted in the 3rd round (87th) by the Milwaukee Brewers as a pitcher. He played with the Milwaukee organization from 2005 to 2007 when he was traded to the San Diego Padres. 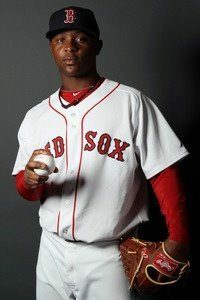 Inman played with the Padres until 2012 when he was signed as a free agent to the Boston Red Sox. He later signed as a free agent with the Tampa Bay Rays. Inman is currently the head coach at Carlisle School in Virginia. James was a two time All-Conference pitcher for DH Conley High School in Greenville, NC. He was named the Conference Pitcher of the Year in 2008 and 2009 as well as the Pitt County Pitcher of the Year in 2009. After high school, James attended Guilford College where he starred in multiple roles for the Quakers for four seasons and earned the team’s Most Valuable Pitcher Award in 2011 and 2012. James earned the ODAC “pitcher of the week” honor in 2011 and named honorable mention on three separate occasions. Upon conclusion of his college career in 2013, James ranked among the Quaker’s all-time leaders in innings pitched and appearances. James competed in both the Southern Collegiate and Beach Collegiate Baseball League while in college. He was awarded the Cy Young Award in the BCBL in 2012 posting a 2.11 ERA in 59 2/3 innings while leading his team to the title. Joe Lebeda graduated from Sanderson High School in 1993. 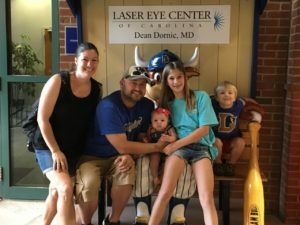 After graduation, Joe moved played baseball at Louisburg College and later earned his Business Management degree from UNC-Greensboro in 1997. Lebeda has coached many levels of baseball since 1997, including a state championship team in 2008. Phil Maier has spent 11 years coaching college baseball. He coached four years at his alma mater, University of Wisconsin-Parkside, and spent the last seven years as the pitching coach and recruiting coordinator at High Point University. Hobbies Outside of Baseball: Spending time with family and watching sports. Most Memorable Moment with the Dirtbags: The “Hooters Scout Team” in Jupiter of 2008. Favorite Music: No favorites. Listens to anything. Dallas Newton graduated from Southeast Guilford High School in Greensboro, NC. He was a part of the All-Conference team both Junior and Senior years, as well an All American Honorable Mention (Atlantic – All Region 2nd Team). During his college career, Newton went to the University of North Carolina at Chapel Hill. He then transferred to Pitt Community College in Winterville, NC. 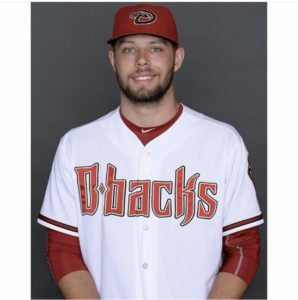 At Pitt Community College was a 2nd Team Region X.
Newton was drafted by the Arizona Diamondbacks in 2013, and played professional baseball for 5 seasons with the organization. This is Newtons second year coaching with the Dirtbags. Newton coached 2 years with Southeast Guilford Middle School baseball. JD Poetzsch is a Raleigh native and graduated from Sanderson High School. He is entering his 5th year with the baseball program at Southern Alamance High School. John Eberle is from Sylvania, Ohio, where he played baseball at Northview High School. During his senior season, he was an All-Ohio selection. After high school, Eberle, played Division III baseball for Adrian College and later earned his degree in Business Administration. Eberle was the JV assistant coach for Sylvania Northview High School in Sylvania, Ohio, and later served at the JV Head Coach. Additionally, he served as the Head Coach for the Midwest Mavericks Baseball Club in Sylvania, OH. After moving to North Carolina in 2001, he served as the Head Coach for the Thomasville Junior Hi-Toms American Legion in Thomasville, NC and went on to be the Assistant Coach at High Point University, Hitting Coach at Wake Tech Community College and the Assistant Coach for the Cameron Village Big Timers, the Broughton High School summer Varsity team. Rice spent 4 years with Chicago White Sox organization, 3 years with Boston Red Sox, 1 year with Oakland A’s and Cleveland Indians, and 2 years with Atlanta Braves. In winter ball, Rice played with Mayaguez in Puerto Rico, and Hermosillo in Mexico. The California native now has 5 years of coaching experience. Chad Rothlin graduated from Fred T. Foard High School in Hickory, NC. At FTFHS, Chad was an All-Conference player in 2007 and 2008, including 2 conference championships. During his senior season, he finished 8-1 with 104 strikeouts and 7 walks. Rothlin played with the UNC-Charlotte 49ers, where he pitched for 4 years as both a starter and reliever. The Niners won 2 conference championships during that time, including a trip to the Tempe, AZ Regional in 2007. Rothlin ended his career at Charlotte with 12 wins and the 11th best batting average against in school history, with opponents hitting only .255 against him. Rothlin is currently an Exceptional Children’s Teacher at his alma mater, Fred T. Foard, and coaches alongside Andy Partin with the Dirtbags. Chad is entering his 3rd year of coaching with the Dirtbags. Brad Alberts began his coaching career with a youth baseball team in 1999. After great success on his first season, his travel organization grew to five teams over the following years. His teams have won multiple national championships in the AAU and countless state championships in AAU, USSSA and other organizations. Hunter Ridge played four years at UNC-Wilmington and spent three seasons in Independent Ball. Coach Ridge is currently the Head Coach at North Moore High School. Coach Ridge returns to the Dirtbags for his third season. 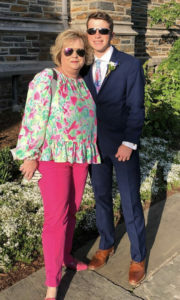 Noah Heatherly is a native of Waynesville, NC and graduated from Tuscola High School. At Tuscola High School, he played four varsity seasons, and graduated in 2016. He played for the Dirtbags during the summer of 2015. Heatherly is a junior at Piedmont College where he started behind the plate since his freshman season. He was voted All-Conference Honorable Mention as a sophomore, and was a Gold Glove Nominee the same year. Ben Cassillo is from upstate New York and was a two-time All-Conference selection for Shaker High School, had a career .444 batting average before starting his collegiate career at the University of Virginia. At UVA, Cassillo was a walk-on player where he was a part of the 2015 National Championship team. Cassillo played alongside 17 teammates who were selected in the top 10 rounds in the MLB draft, including 6 1st round picks. Cassillo graduated from UVA in 3 years, majoring in Economics and minoring in Religious Studies. 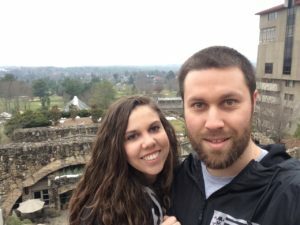 He currently works as a data analyst for a digital marketing company in the Charlotte area. Ben is entering his 1st year of coaching with the Dirtbags. Jason Slaughter is a Dirtbag alumni from Durham, NC and a 2018 graduate from Orange High School. He played under Head Coach Dean Dease and was a two time All-Conference selection. Slaughter is now playing for Belmont Abbey College where he is studies Business. 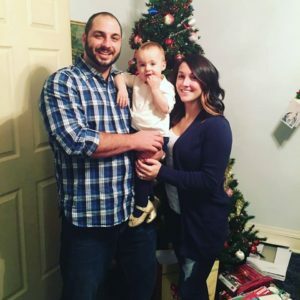 Conner is from Jacksonville, Florida, where he attended Sandalwood High School. At Sandalwood, Conner was a four year Letterman and captain his Junior and Senior year. 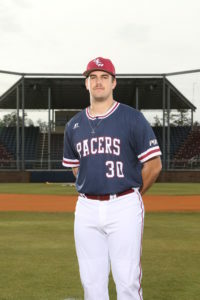 Following high school, Conner played one year at South Georgia State College from 2015-2016, then transferred to the University of South Carolina Aiken, where he is currently playing his senior year. He will graduate in May 2019 with a Bachelor’s degree in Communications, and a minor in Business. During his college career, Alex Krivanek played at the University of Kentucky, where he was a relief pitcher. Krivanek played alongside 7 teammates who were selected in the MLB draft. Originally, from Ohio, Krivanek was a 2-time All-Conference selection for Olentangy Liberty before walking-on as a pitcher at UK. Krivanek is a graduate of The Ohio State University with a degree in Business Marketing and a minor in pre-law. Krivanek currently works as a marketing analyst at a digital marketing company in the Charlotte area. Alex is entering his 1st year of coaching with the Dirtbags. Dylan Dickens pitched for the Dirtbags from 2008 to 2010. During his tenure with the Dirtbags, he won 2010 WWBA World Championship, and threw 14 1/3 innings throughout the tournament. Dickens played on his high school Varsity team for 4 years at Person High School. Dickens graduated from East Carolina University, and ranked 5th in Coastal Plain League in 2011. Additionally, Dickens was recognized as a 2011 and 2012 CPL All-Star. Dickens has been a pitching instructor since 2015, and began coaching in 2016. He was the pitching coach for Dirtbag Bad Company, and Dirtbag Drew in 2018. In 2019 he will be coaching 2023 Dirtbag Dickens and assisting Dirtbag Koch.